North American Craft to Launch Double Trouble Brewing Co. In the ever growing craft beer scene North American Craft, under the helm of Claude Lefebvre is launching a new label; Double Trouble Brewing Co. They have also Trademarked "Hops and Robbers" IPA for their first offering. They will be entering the self serve Beer Stores in the next 4 months with a 6-pack and also intend to release a tall boy can. 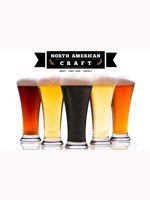 North American Craft is a company focused on representing the smallest Craft breweries from North America at the retail level in Ontario. They are the only agency to support Craft Breweries with infield sales support at the retail level in the Province. Currently they represent Rogue Ales, Brooklyn Brewery, Propeller Brewing, Tree Brewing Co and others in Ontario.